Just because it's fashion week, doesn't mean we're taking time off from our red carpet coverage! Right smack dab in the middle of New York fashion week, it's the Grammys--the perfect dose of Hollywood glamour in the midst of all the fall collections. From Jennifer Lopez's daring Anthony Vaccarello gown to Alexa Chung's sweet Valentino frock see what all the stars wore to the awards show. Back in April, we reported that Style.com would be launching a print magazine in the near future and now, here it is. 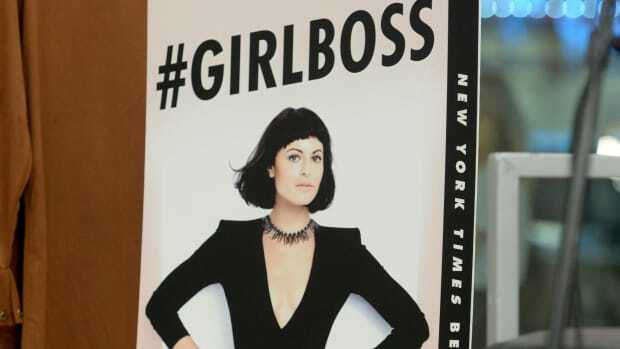 The New York Times reports that the glossy magazine will hit newsstands next week and will go by the name of Style.com/Print. Besides its awkward title, which the Times' Eric Wilson calls "puzzling" and the slightly befuddling concept to begin with (how would clicking through endless runway shows translate into print? ), the new magazine actually sounds pretty interesting. Kanye West's Spring 2012 collection has already been criticized for many things, one of them being a lack of originality. One of the first tweets from inside the exclusive Paris show was from Jessica Michault (of the Times and International Herald Tribune) who said, "I think that every one of the designers sitting in the front row at Kanye West must have had a deja vue moment at some point during the show." Ouch. Though, Michault does have a point. From Alexander Wang to Mary Kate and Ashley Olsen to Azzedine Alaia, the designers West chose to have in his front row, it seemed, were ones he is inspired by. So we dug up past looks--mostly fall 2011--from those designers, plus a couple of others, that looked eerily similar to the ones West showed on saturday. Click through and tell us if you agree.